This is the public profile of Jonathon Anderson + Matthew Jones, Additional information and high-resolution images are available for accredited press members, to access additional information about Jonathon Anderson + Matthew Jones please login as a press member. 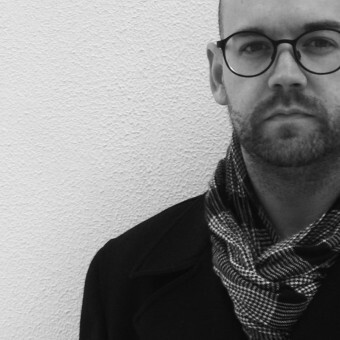 About Jonathon Anderson + Matthew Jones : Jonathon R. Anderson is an Assistant Professor of Architecture at the University of Nevada Las Vegas. His studio, Jonathon Anderson Studio work is characterized by innovative and explorative methods that result in interconnected design, fine art, and technology solutions. From this non-traditional process emerges a provocative, complex design language that visually communicates at varied scales and emphasizes corporeal and phenomenological experiences. Jonathon’s work has been published, retailed, and exhibited at an international level, and explores how industrial manufacturing and CNC technologies influence the design and making processes. His studio work is characterized by innovative and explorative methods that result in interconnected design, fine art, and technology solutions. From this non-traditional process emerges a provocative, complex design language that visually communicates at varied scales and emphasizes corporeal and phenomenological experiences. 11. Tang, M., Anderson, J. Information Urbanism: Introducing Demographics into Parametric Urbanism. Architectural Research Centers Consortium (ARCC) International Conference 2011. Conference Proceedings. Detroit, MI. 18. Tang, M., Anderson, J. Mathematic Forms and Digital Tectonic. Association for Computer Aided Design in Architecture (ACADIA) International Conference 2010. Conference Proceedings. New York, NY. USA. 20. Anderson, J., Tang, M. Interactive Information Model for Digital Fabricator. Architectural Research Centers Consortium (ARCC) and the European Association for Architectural Education (EAAE) International Conference 2010. Washington, DC. USA. 21. Tang, M. Anderson, J. Heterogeneity: Math Driven Form Seeking + Fabrication. ACADIA 2010 International Conference Exhibition. Conference Catalogue. New York, NY. Cooper Union. 22. Anderson, J. Loft Life Magazine “Best Designers Under 30 in America.” Featured Designer. Winter Quarter 2010 issue. 23. Tang, M., Anderson, J. A Trace to Simulacrum: Blurring the boundary between Art and Architecture. Association of Collegiate Schools of Architecture (ACSA) Southeast Regional Conference Proceedings 2009. Savannah, GA.
24. Mendoza, H. , Anderson, J. Creative Human Intelligence Program (CHIP). Interior Design Educators Council (IDEC) South Regional Conference Proceedings 2009. Raleigh, NC. 25. Anderson, J. Topology II. Savannah College of Art & Design Admissions Catalogue Cover. 2009-2010. 1. Anderson, J. Grasshopper: Rhino & Parametric Modeling. Workshop Instructor. University of Cincinnati – School of Architecture. Graduate level – ARC 790. June 2011. 2. 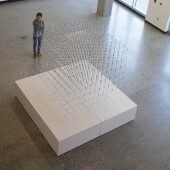 Anderson, J., Yeshayahu, S., Vera, M. Pa2ArC – Responsive_Scapes: Parametric Thinking in Architecture. Workshop Instructor. Southern Illinois University Department of Architecture. Junior level. April 2010. 3. Anderson, J. Integrating Rhino and Digital Fabrication into Architecture. Savannah College of Art & Design Architecture Department: Sponsored by National Organization of Minority Architects Student Chapter (NOMAS) February 2010. 4. Anderson, J. Digitally Fabricated Works of all Scale. Conference of Southern Graduate Schools (CSGS): Closing Reception. Presentation of digital and fabricated work. Savannah, GA. February 2010. Press Members: Request an exclusive interview with Jonathon Anderson + Matthew Jones.